Uncover the stylish side of Ho Chi Minh City on this 4-hour tour and zip around the city on a restored US Army Jeep. 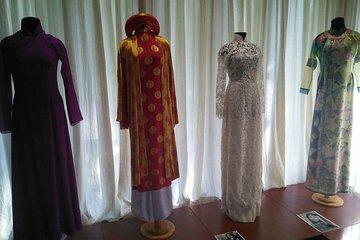 Learn about Vietnamese fashions and culture from your private guide as you travel to the home of local fashion designer Si Hoang, then browse the fascinating Ao Dai Museum. Marvel over the immense collection of costumes, including some dating back to the Nguyen Dynasty and others worn by famous Vietnamese celebrities and politicians.